Customers can now pay for your services by credit card through our website using ServiceSeeking Payments — our new safe and convenient payment method. All you need is a few minutes to set this feature up, and it won’t cost you a penny. Chasing your money can be one of the worst aspects about being a contract worker. Creating lots of invoices and keeping track of what you are owed can be a complete nightmare. 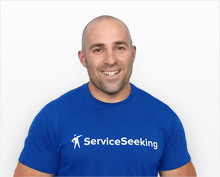 So it’s great news for all of the businesses on ServiceSeeking.com.au as invoicing and payments can now go through us! It’s simple, safe, and effective. 1. Request a payment. 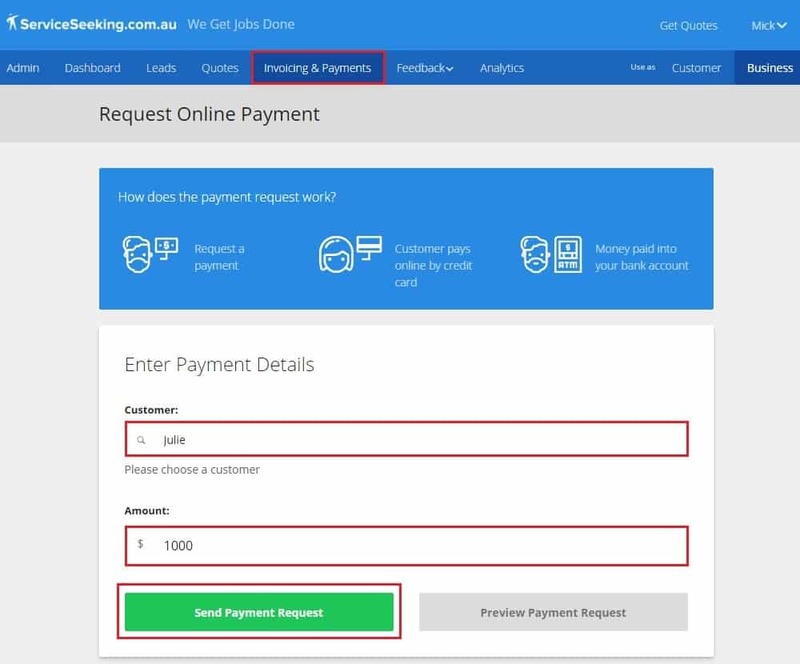 Once you’ve completed a job, find your quote and click on “Request Online Payment”. 2. Send an invoice by filling out our simple form. Indicate the cost of the job and click on “Send Payment Request”. Take note that a 2.4% surcharge (transaction fee) will be included in the total cost. The customer will then receive the invoice, which contains a link to pay. 3. Fill in your bank account details. On your first transaction, we’ll need to verify your bank details to ensure that we can securely transfer the payment to your account. 4. Customers pay by credit/debit card through our secure payment gateway. With just a few clicks, the customers can settle your invoices in no time. 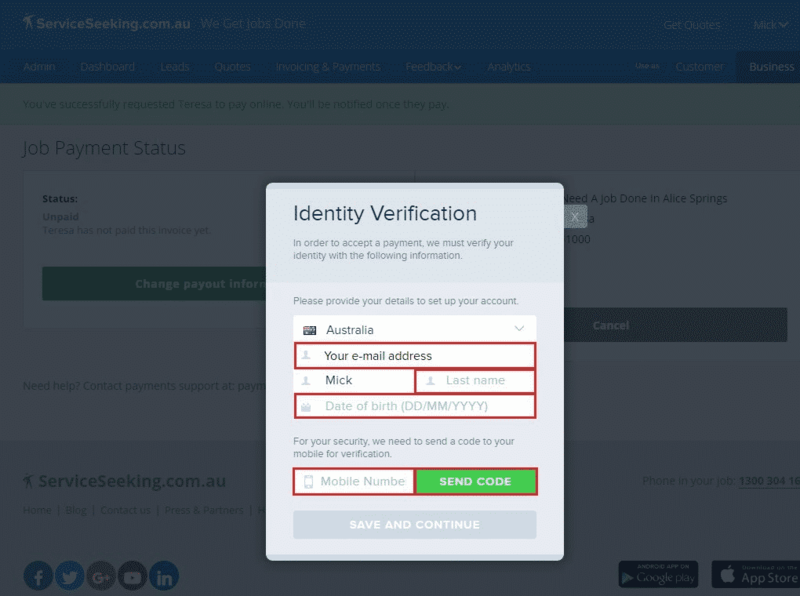 We’ll also verify your customer’s details to protect you from any fraudulent activity. 5. Get paid. You’ll receive a notification email once the customer pays. Once the payment is received and verified, we’ll send the amount directly to your bank account. This is usually done within 24 to 48 hours. 6. Sit back and relax. Getting paid just got so much easier!